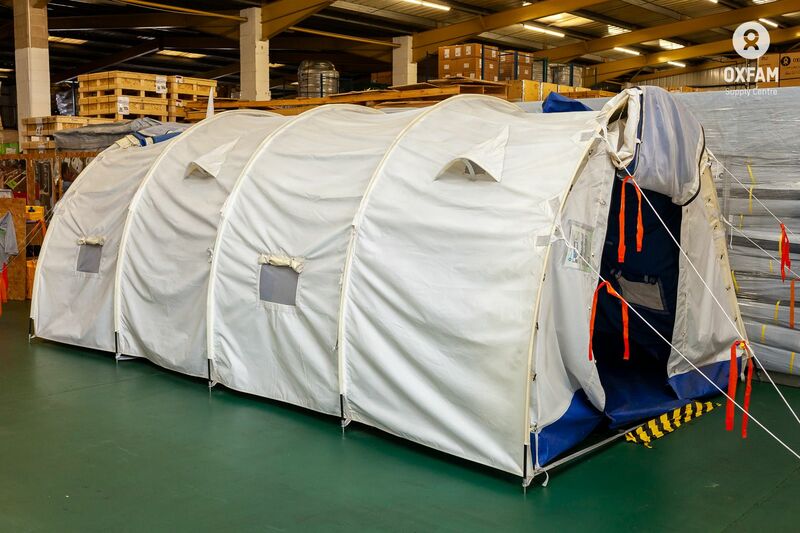 Tent suitable to provide temporary shelter for up to 8 people. 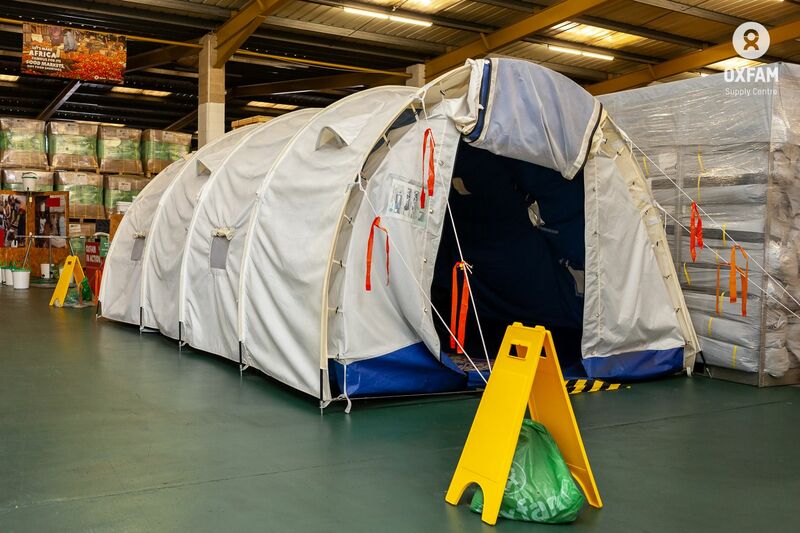 This tent is suitable as an emergency family shelter to temporarily accommodate up to 8 people in temperate or tropical climates provided proper attention is paid to site selection, drainage, and access to water and sanitation. 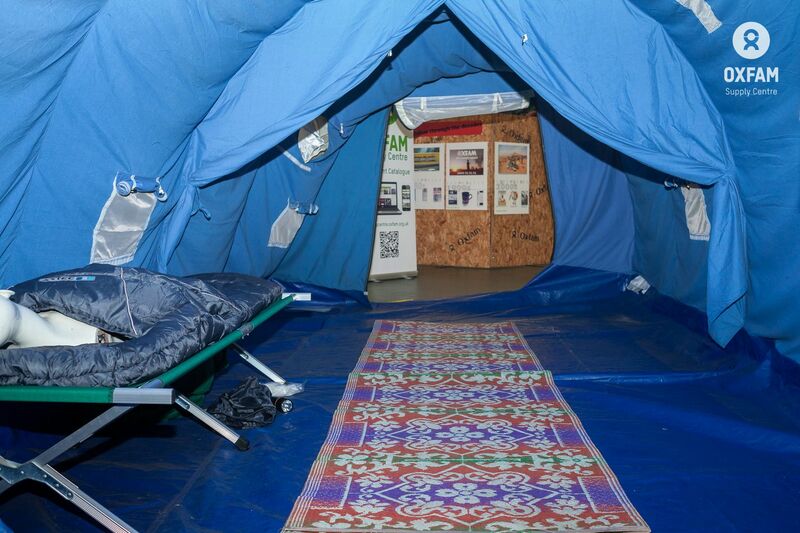 While all materials in this tent meet fire retardant standards, adequate spacing between tents is crucial in camp situations to avoid risk of fire spreading. 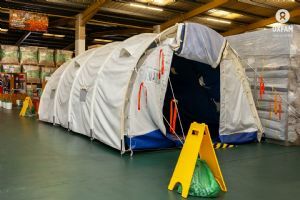 Please refer to Oxfam GB Public Health Engineering Team Minimum Standards for Emergency Shelters for additional guidance. 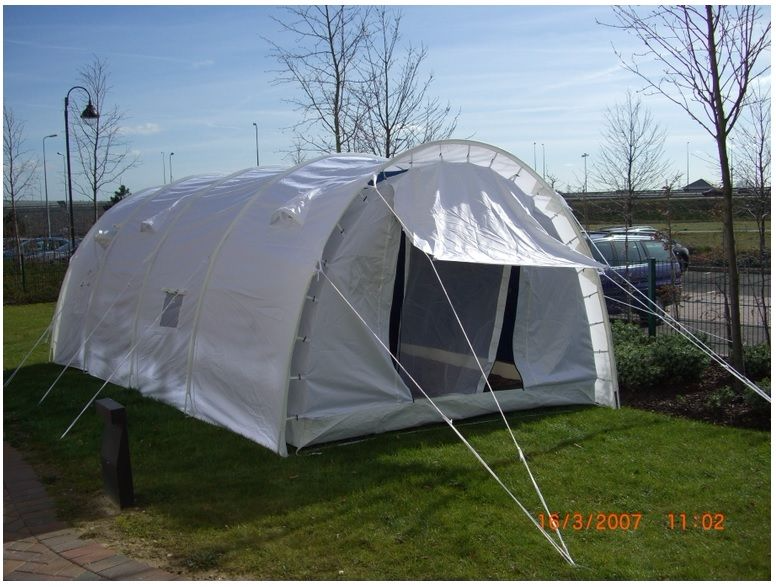 Main tent:polyester rip-stop nylon, fire retardant, full width heavy duty zipper openings at both ends, zippered window screens with weather flaps (2 on each side), integrated pole sleeves, stove flue flap. Inner tent /room divider:polyester and cotton mix (breathable), fire retardant.